Does Jason Bond Picks have a free trial? No. Even though there is no Jason Bond Picks free trial, you can still get access to some of the famous Jason Bond Strategy for FREE. Want to know what is the Jason Bond Picks cost? Is Jason Bond a scam? You might have heard of the millionaire stock trader known as Jason Bond. He has made millions of dollars trading penny stocks and now he teaches others the secrets to his trading success. The only problem is that his premium alerts service, Jason Bond Picks costs quite a bit of money. I am a Jason Bond Picks subscriber and I can assure you that Jason Bond Picks is totally worth the cost! However, Jason does not offer a free trial to his alerts services – but today I want to show you a way to learn his core trading strategy for free. Is Jason Bond a scam? No he is legit and this article attempts to show you evidence that this is the case. Get instant access to Jason’s free masterclass worth $1000! If you are looking for a Jason Bond Picks free trial, this webinar is about as close as you will get. Jason explains exactly how he uses just three chart patterns to make massive profits every year in the stock market. The nice thing is that after the webinar has finished, Jason will continue to send you emails about some of his stock picks that he is watching. So you get to learn his strategy but also get to see how some of his stock picks work out before you decide if you want to buy a subscription. There is also a way that you can just have Jason send you his stock watch lists for free! All you have to do is to sign-up here and you will receive weekly updates on potential stock trades from Jason and some of the other millionaire stock traders at RagingBull.com. You will not get access to the Jason Bond chat room or anything else though. But the free emails will give you a could insight into the Jason Bond strategy and let you see how effective it can be. Now, I know many of you are skeptical about Jason Bonds strategy and his claims of huge wins etc. I am the most skeptical person around and very cautious with my money. So let me show you the results from Jason Bond Picks free email alerts. Remember, you do not need a Jason Bond subscription to get these emails. This email was sent out on September 18th 2018 and details three stocks that Jason was looking to buy. The stocks that Jason Bond discussed in this email are $NMRD, $RADA and $NBEV. The first stock on the email was NMRD. This trade is a classic Jason Bond strategy – he calls it a continuation pattern. 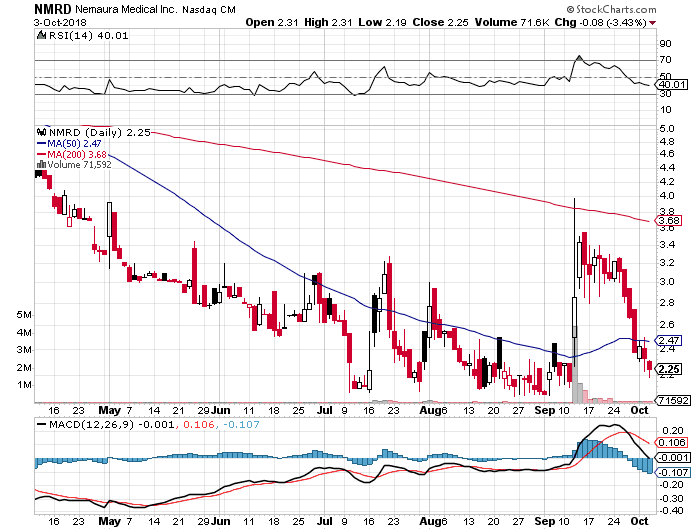 You can see from the chart below that NMRD had made big move up in price in September. A few days of the price pulling back is relatively normal after a big move up in price. The primary Jason Bond strategy uses the Fibonacci retracement levels (shown in the chart) as potential areas where the stock price action may reverse and continue upwards. 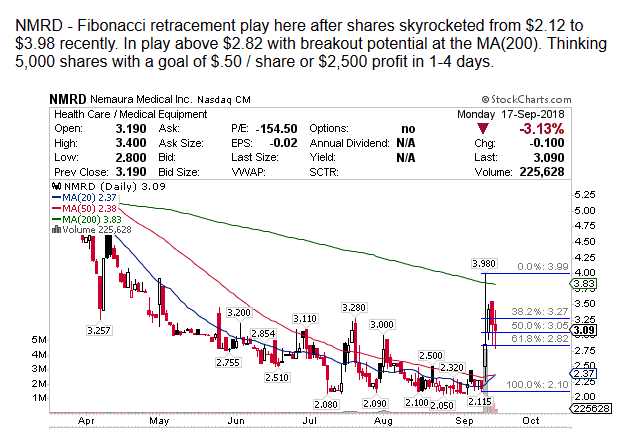 In his explanation he suggests that will likely buy the stock when it is close to the 61% retracement level which corresponds to a price of $3.82 per share. His profit goal was $0.5 per share, which is a stock price of $4.32. So what happened? If you have followed this idea and purchased the stock close to $3.82 per share on this day? Well here is the daily chart as it stands in early October. You can see that the day after the stock was ‘alerted’ by Jason, there was a small move upwards in price to $3.3 per share. If you had been a disciplined trader and managed to get a good entry at $3.82 and sold your position the following day in the $3.30’s then you would indeed have made a decent profit of $0.5 per share. However, if you had continue to hold the stock you would likely have suffered a significant loss as the stock broke down a week or so later. My conclusion is that this would have been a difficult play to make, but Jason was right – it did move up $0.5 per share the next day from his alert. Overall, I would say that while this trade alert did work, it would have been a very difficult trade to make. The Jason Bond strategy is all about cutting losses quickly and taking profits when they hit your target – so if you followed these trading rules you would have likely made money with this trade. Jason Bond likes to take 10% – 20% gains over and over again. I agree with this trading strategy – it is easier to make 20% on 5 trades than 100% on one trade. 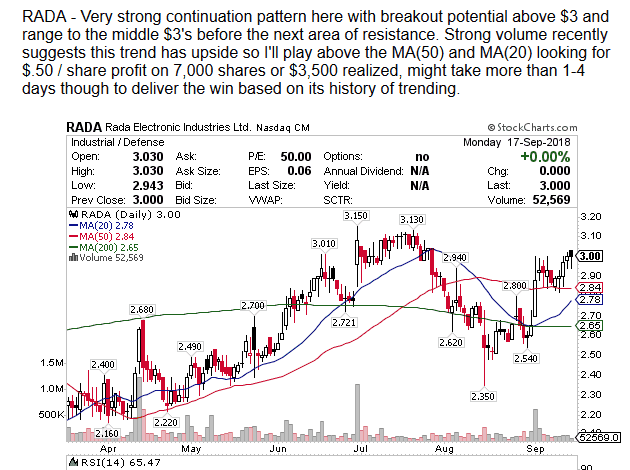 Jason’s second pick of the day was a stock called $RADA. Here is the snapshot of what he had to say about $RADA. Jason was looking for $0.5 per share profit for this one but he admits that it may take longer than his usual 1-4 days. I like this chart but I would be wary of the resistance at $3.1 and given that he suggests that his stop loss is $2.84, I worry that this trade may not represent the best possible risk/reward. If I was playing this stock, I would want to get a buy price below $3 in order to reduce the risk and maximize the potential reward. Let’s look at what happened with the stock over the next few days and weeks…. 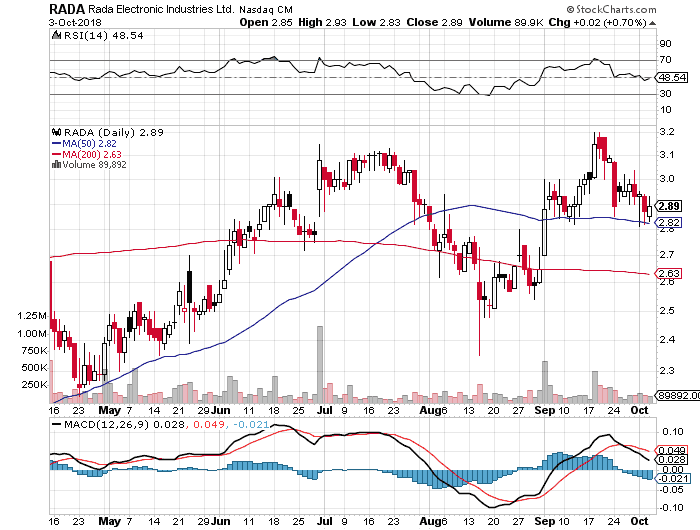 You can see from the daily chart below that this stock continued upwards the next day and hit $3.2 per share. So if you had purchased below $3 and had the discipline to sell at $3.2 then you would have made a nice 5% – 10% profit. Unfortunately, Jason was looking for $0.5 per share gain and if you had blindly followed this then you would probably have a losing trade. This shows why you should take profits when you have them or at least take some profits and set a trailing stop loss for your remaining share. I had a feeling that the resistance from July would be a bit of a hurdle for this stock and it looks like it was too much to overcome. My conclusion is that this was another difficult trade to get right and many subscribers probably bought at $3 and only made $0.1 per share at best. Still this had the potential to be a successful trade if the rules were followed. 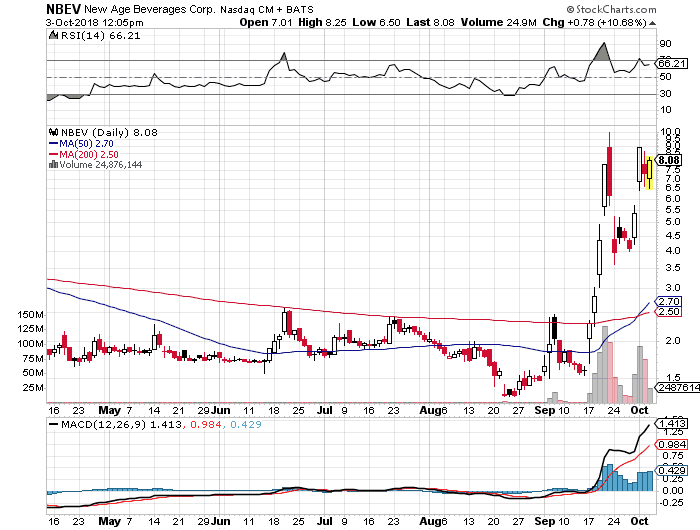 The final stock that Jason Bond discusses in his September 18th email is $NBEV. Here is what he had to say about it…..again he is only looking for $0.5 per share profit. As you can see he is only looking for a move to the mid $3’s. So what happened with this stock ? Check out the daily chart below that shows this MASSIVE win! The stock went up from Jason’s alert in the $2’s all the way to $10 per share in just 3-4 days!!! This was a monster win for Jason Bond picks! Unbelievable 500% gains in just 4 days is a life-changing trade. Imagine if you had $10,000 in on this trade and played it perfectly you would have $50,000 profits! $NBEV is why we trade stocks and why it is important to keep going even if you have a few less than exciting trades – you only need one like $NBEV to make your month hugely profitable. Sure, you may not have been able to capture this entire 4 day move, but you could probably have had a nice big slice of the pie. What would you use $50,000 for? This is what your profit would have been from $NBEV if you had played it well with just $10,000! My conclusion on $NBEV is that this would have been a monster win for subscribers! A 500% gain in 4 days!? Who does that! This is the power of the Jason Bond strategy! So now that you have seen that the free watch lists are as good as any Jason Bond Picks free trial, you might be wondering how you can get access to Jason Bond Picks and get stocks like $NBEV sent to you every day. What does Jason Bond Picks cost? I wrote a whole Jason Bond Picks review about everything that you can expect as a premium subscriber to Jason Bond Picks. You can check out that review here. How much Jason Bond Pick cost varies so I cannot give you an exact number. I can tell you though that the service provides exceptional value for money. Learning the Jason Bond strategy for finding highly predictable stocks is not difficult. Jason uses just three simple patterns that he has found to have a very high chance of success. You can learn the Jason Bond strategy in a weekend and then paper trade his alerts for a few weeks before starting to use real money. When I am learning a new stock trading strategy, I often use a small account ($1000) and trade positions that are only $100 – $200 a time. The Robinhood app makes this possible thanks to no commissions and no minimum account balance! This is something that I suggest to all new traders when they are learning – if you can’t make a profit with a thousand dollar account, why would you think you could with a $10,000 account? I highly recommend buying a Jason Bond subscription because the picks that I have had as a member of this service have been fantastic! 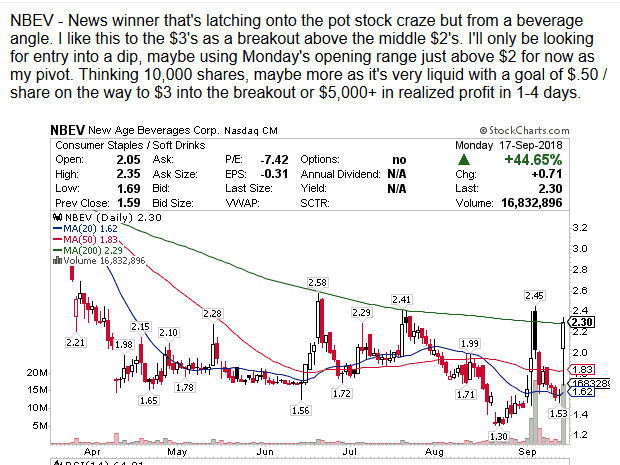 The example of $NBEV is just one of many stocks that Jason has found and brought to my attention over the last few years. Jason has over a decade of experience picking and trading this type of stock so he is worth listening to! If you are thinking about buying a Jason Bond subscription, then I would highly recommend signing up for this free email list (you will also receive his weekly free stock alerts via this email). When you sign up for the free email list it allows Jason to notify you when there is a sale (sometimes as much as 75% off Jason Bond subscription services!). People always ask me – is Jason Bond a scam? I think the people that think Jason Bond is a scam are the ones that sign up and think they can copy all his alerts blindly. They chase the alert as the stock moves up in price and then cry that it is some kind of scam when the price retraces to the price it was before the alert. Is Jason Bond a scam in my opinion? Not a chance! His stock picks and strategy are fantastic. Anyone that says otherwise either hasn’t tried his service or are perhaps even a competitor. The thing that you have to remember is that Jason can teach you his strategy, but trading is like an art. You have to have an intuition about how a stock will likely move – just knowing the chart pattern is not enough. The real value in Jason Bond picks is that you get to see his process in action and learn to imitate it. His experience is so valuable for you to learn from! So before you ask ‘is Jason Bond a scam?’ or listen to the haters out there, think about using Jason Bond Picks as a tool to develop the intuition and guts needed to become a successful trader. Don’t just chase Jason’s alerts – learn what stocks he picks and how he is able to react to the market. I have written extensively about Jason Bond Picks but no matter what I write there will always be trolls that claim I am just some paid stooge or ‘con’. If you are worried about not getting a Jason Bond Picks free trial then I suggest that you try the free masterclass DVD (below). I have tried to outline in this article that Jason Bond picks stocks that do make significant gains in price in short periods of time and that you can capitalize on these stocks – if you are disciplined and know what you are doing. Trading stocks is never easy and buying a Jason Bond subscription will not guarantee success but it will greatly improve your odds. The Jason Bond Picks cost is easily recouped by a few winning trades so it is hard to justify not at least giving the Jason Bond strategy a try. So does Jason Bond Picks have a free trial? No. 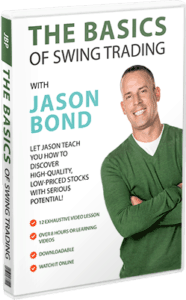 But he offers a free masterclass DVD that outlines his trading strategy in great detail so that you can get a taste of what you will get with Jason Bond Picks. Hopefully this article has answered the question of does Jason Bond Picks have a free trial. The Jason Bond Picks cost is not high and you can easily pay for the service by applying the Jason Bond strategy to just a few successful trades.